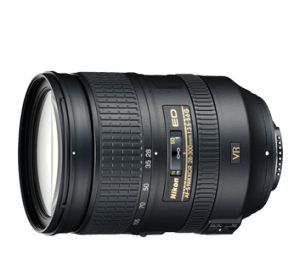 Are you a Nikon user missing that perfect glass for a shoot? 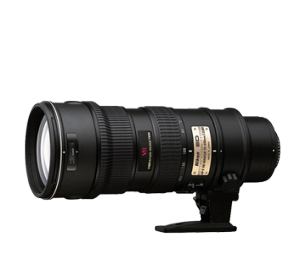 Do you want to make sure that a new telephoto is the right lens for you? 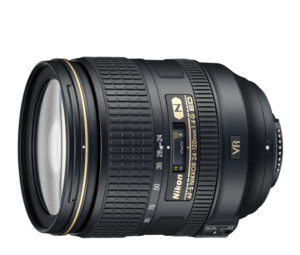 Boston Photo Rental offers Nikon Lens rentals by the day or week, giving you a chance to use the lens you want at a very reasonable cost. Contact us today to reserve a lens and arrange delivery, if desired! At 14mm, this advanced FX-format prime lens covers an extremely wide 114° angle of view, capturing a broad expanse with an eye-catching perspective. The fast maximum aperture of f/2.8 creates beautiful background blur and is ideal for low-light shooting. 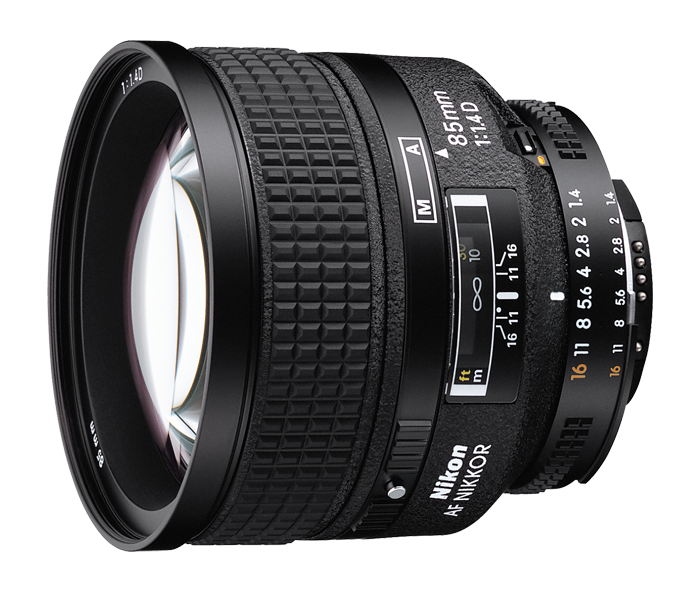 The AF NIKKOR 14mm f/2.8D ED is a great choice for interiors, landscapes, cityscapes and more. 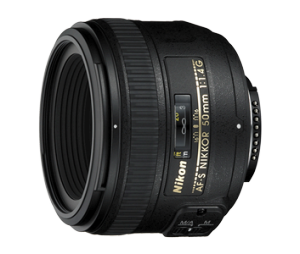 35mm f/1.4G FX This update of one of Nikon’s most respected NIKKOR lenses delivers sharp images and its fast maximum aperture ensures a bright viewfinder image as well as beautiful background blur. The moderate wide angle capability of the lens is suitable for interiors, weddings, photojournalism and landscape photography. 50mm f/1.4G AF-S This exceptional low-light lens is perfect for travel and portrait work and any situation where a extremely limited depth of field is desired. 60mm f2.8 G Discover a world of extreme clarity and unseen detail with close-up shooting only achievable with a macro lens. 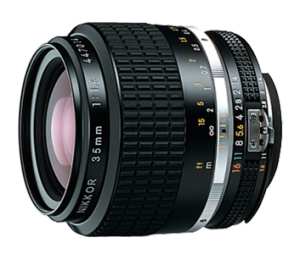 The AF-S Micro NIKKOR 60mm f/2.8G ED is a compact, versatile macro lens capable of producing stunning sharpness with beautiful bokeh (background blur) in a wide range of focus distances from infinity to life-size (1:1). 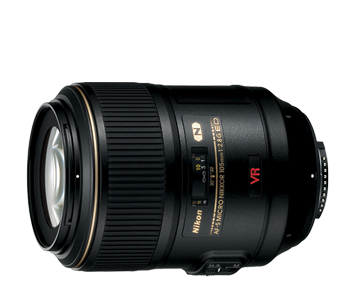 85mm f/1.4D IF This renowned, ultra-fast f/1.4 prime lens opens up a world of artistic potential. 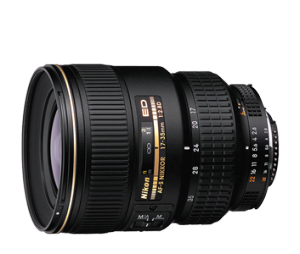 Optimized for FX-format D-SLRs, it combines superior NIKKOR optical properties and advanced Nikon lens technologies for truly exceptional performance in the field or in the studio, whether shooting stills or HD videos. 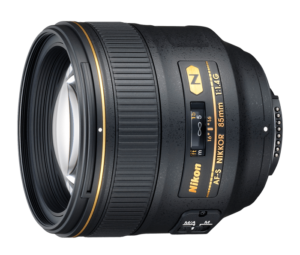 85mm f/1.4G The latest version of the acclaimed 85mm lens uses a redesigned optical system that includes Nikon’s exclusive Silent Wave Motor (SWM) and Nano Crystal Coat (N). Its f/1.4 maximum aperture is ultra-fast and the rounded nine-blade diaphragm creates superior depth-of-field control and background blur. 105mm f/2.8 MicroAF-S VR This medium telephoto Micro lens is ideal for extreme close-up and portrait work with greater working distances and autofocus from infinity to life-size. 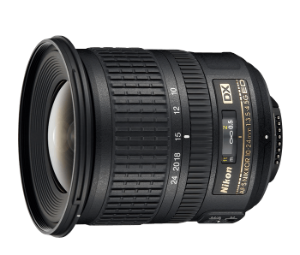 10-24mm F3.5-4.5G ED Explore the extremes of photography and HD video with the ultra-wide-angle coverage of this practical DX-format zoom lens. Close-up shooting capability, minimal distortion and compact design make it a versatile photo and HD video partner, no matter where you choose to take it. 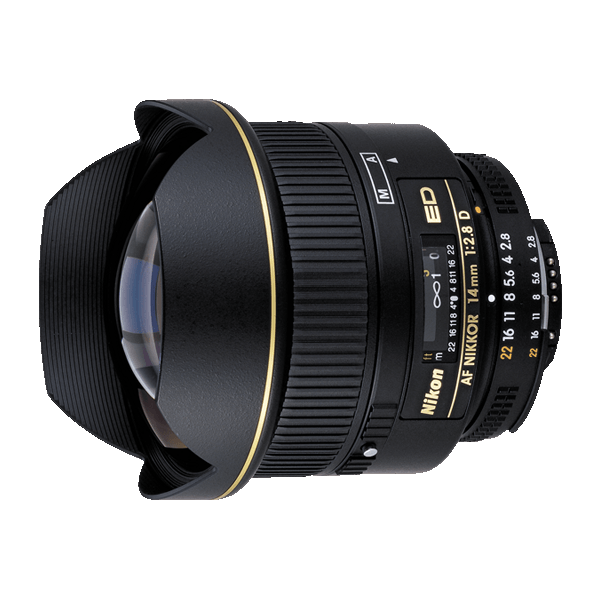 With a fast fixed maximum aperture of f/2.8, the award-winning AF-S NIKKOR 14–24mm f/2.8G ED delivers truly superlative performance in any situation. 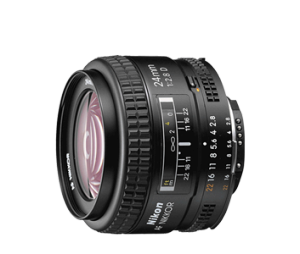 Praised for its reliability and overall image quality, this is a long-time favorite lens of passionate professionals. 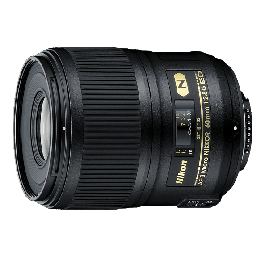 With a fast fixed aperture of f/2.8 across a 24–70mm zoom range, this lens provides both fine resolution and natural representation. 24-120mm f/4G ED VR The AF-S NIKKOR 24-120mm f/4G ED VR is the perfect FX-format standard zoom lens for landscapes, portraits, weddings and distant subjects offering a constant maximum aperture to maintain exposure settings throughout the entire zoom range and VR II image stabilization to empower your handheld shooting. This fast f/2.8 high-performance zoom lens features Nikon’s VR image stabilization and is the ideal lens for low-light sports and portrait photography. 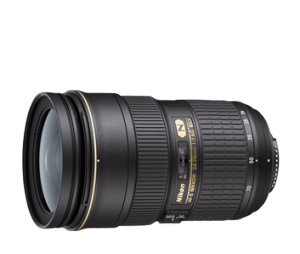 A powerful zoom lens optimized for FX-format cameras, the AF-S NIKKOR 28-300mm f/3.5-5.6G ED VR offers outstanding sharpness for a broad zoom range while maintaining an f/5.6 aperture at the telephoto end. 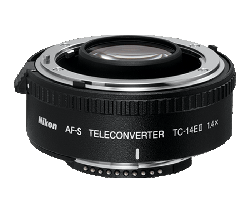 Teleconverter TC-14E II TC-14E II Teleconverter increases the effective focal length of select compatible NIKKOR lenses by 40%, offering an affordable and portable gateway to extend telephoto reach; ideal for sports shooting, wildlife, surveillance and more. 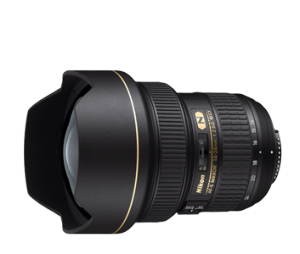 Want more details about renting a Nikon lens from us? Visit our FAQ!